As a family with a more active awareness of metaphysical practices than the average, we tend to have some different issues too. An interesting thing happened today, and I thought I’d share it. For some reason I can’t really fathom, this morning my 10-year old daughter, Sari, told my six-year old daughter, Arin, that the Mayan Calendar is at its end, and that means in nine days the world could end, the sun blow up, and the planets all die. FOR THE RECORD: I did not ever even mention the Mayan Calendar to any of my children, nor did I have reading materials lying around about it. So in this case, it didn’t come from me. I think my kids’ interest in this is more than most because we talk about astrology at times. We also talk about crystals, Reiki, angels, healing, pendulums, muscle testing, and tarot cards. But it’s also been the talk at school, and it’s hit the mainstream too. After school, Arin told me that she was so worried during Kindergarten today that she couldn’t concentrate. She was scared, almost cried, talked with her teacher (I expected a phone call this evening but one didn’t come), and that she was going to be very kind to everyone so she could “die in peace.” Oy vey. I told Arin again that she needn’t worry. I told her that if the world was going to end, scientists would know and it would be on the news and the computer. And it isn’t. I also told her that her dad and I would talk with her if something like this was going to happen. I told her that not in nine days, nine years, or even ninety years or nine hundred years, would this happen. And most of all, I told her that one should be kind because it makes LIFE better for oneself and for others, not in order to “die in peace.” Goodness. Where did she get THAT one?? I also took Sari aside and let her know what her little story did for Arin’s day. Sari felt awful. I told Sari just to learn from this that it’s not okay to tell little kids scary stories, because they can’t tell the difference between scary stories and reality. And I reassured Sari that this story she was telling was not going to happen. There’s a lesson here. 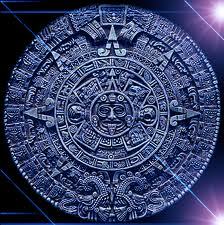 Talking about the Mayan Calendar – 12-12-12, 12-21-12, and all that speculation is picked up by kids, taken in, and repeated to each other. It affects them, it confuses them. It’s so unnecessary. This is a new time. People are becoming more energy-sensitive. Many are waking up and finding out that there’s more to life than the five physical senses tell them. They are seeking answers, seeking connection. They are realizing that thoughts and intentions are powerful. They are finding their power to heal themselves. The energy is heightened these days. The Solstice, the movement of the planets and the Sun, they all affect how people feel. It can cause mood swings, uncertainty, and some confusion for those who are becoming more sensitive. It can make people wonder if “something is coming.” It is. But nothing bad. Just a wave of new energy. I felt a little dizzy at times today myself. I grounded my energy more than usual to balance it out. Those of us who work with energy are being called to teach those who are ready to learn. I’m here, I’m ready, and I’ve been preparing for this for nearly five years. Talk with your kids. Find out what they’ve been wondering about, and reassure them that they are safe and loved.